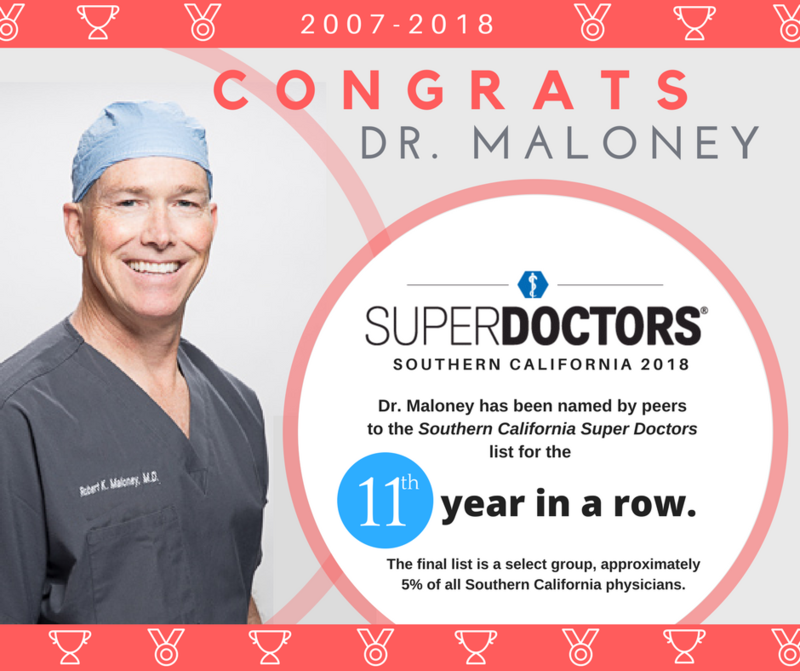 Congrats to Dr. Maloney, who was selected to the 2018 Southern California Super Doctors List, his 11th year in a row. This list is the result of an extremely rigorous nomination process conducted by the national research division of MSP Communications in Minneapolis, MN. The process includes peer nominations, detailed independent research and a Blue Ribbon Panel review of all nominated candidates. The final list is a select group of medical professionals, approximately 5% of Southern Californian physicians.